NOTTINGHAM, England – Cage Warriors made its seventh, and rumored to be its last, appearance at the Harvey Hadden Sports Centre with a packed house of screaming fans. Things have been going extremely well for the promotion of late with fight cards getting stronger and the attendance surging. It seems the promotion is poised to make a return to the boom time of the Strikeforce era. The next show will be in September and if all the rumors prove to be true, it will be held in the Nottingham Arena with new financial backers. Paul Daley once again highlighted that he is the best welterweight in the country with an absolutely dominant performance over Slovenian import Bojan Kosednar via knockout just seconds away from the end of the first round. 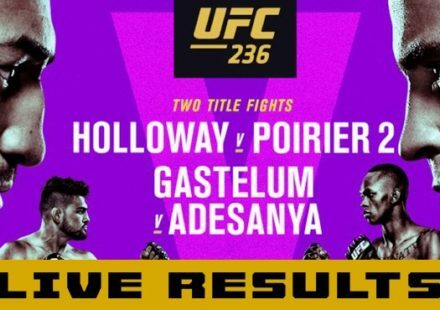 The opening moments of the bout saw both fighters content to trade until Daley landed a thunderous body shot to send Kosednar crashing down to the mat. To his credit, Kosednar managed to recover enough to stay in the bout and even attempted to set up a kneebar. Unsurprisingly, his next salvo was a run at the takedown. Daley has a monstrous left hook, and you could see he was looking for it after having smelled blood early on. It took a few leg exchanges from both fighters before he stepped in landing square and dropping the Slovenian for the second time. Following a brief pause to recover his mouthpiece, Kosednar ate another left hook. His demise signaled the end of the fight at the 4:53 mark. It took all of 51 seconds for Simeon Thoresen to secure the win via kimura submission. Initial exchanges standing were kept to a minimum as the Norwegian closed in for a takedown from the clinch, transitioning deftly to the north/south position with Matt Thorpe’s left arm in tow. The Japanese Dream promotion is rumored to be the next step in Thorensen’s ascendancy to the international level; with performances like these he should have an impact upon arrival. Jim Wallhead and tough Brazilian Fabricio Nascimento fought a primarily standup battle during their 15 minute encounter. Wallhead was able to keep the fight on the feet, deflect takedowns and refused to buckle under standing guard attempts by his opponent. Composure paid dividends for the Rough House fighter as he managed to land the crisper combinations of the two, but unable to finish the fight by way of a power shot. The points racked up and despite having a tough chin, Nascimento fell behind on the scorecards leaving little option but to go for broke and secure a submission in the final round. He never did and his face clearly reflected the negatives of being goaded into trading with a better boxer. 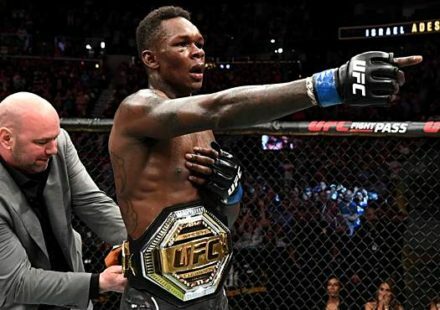 Majority draws are quite rare in mixed martial arts and usually subject to mass scrutiny after a ruling; such will be the case with the ruling for Abdul Mohammed and Andre Winner. The scoreboards coming back from the judges were 29/28, 29/29, 29/29. Neither fighter felt particularly impressed with the result. Mohammed is an amazing wrestler; his top game is phenomenal and he really used his strength to secure even the hardest of takedowns. At one point he hauled Winner about his shoulders and carrying him halfway across the cage before dumping on his back in the corner. The only thing he didn’t do which would have possibly swayed the fight in his favor was to apply enough damage to his adversary. 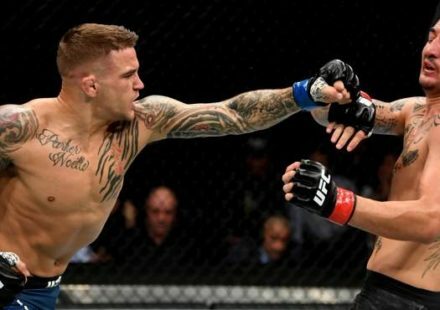 An active guard from the bottom, a couple of submission attempts including a tight armbar and sharp punches were enough ingredients to keep Winner level on the cards; he created a nasty mouse over Mohammed’s left eye, but not sufficient to score the overall win. It was a disappointing result to a fight that promised much, but you can’t blame Mohammed for working his game exactly how he wanted to. Reigning Cage Warriors bantamweight champion Paul McVeigh retained his title with a rear naked choke submission victory over a very game Steve McCombe. 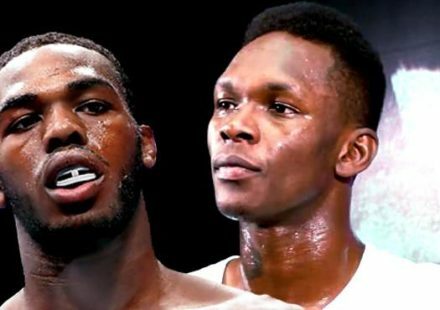 The first round played out entirely on the feet with both fighters landing well in the exchange, but neither really threatening with too much power. The second round is where the fighters turned up the heat as McVeigh landed a nice high kick and McCombe threw a couple of spinning back-fists. Ultimately, it was the capitalization on a mistake that gave McVeigh the opportunity to retain as McCombe gave up his back defending strikes on the ground. In one of the more gruesome moments of the night Italian Muay Thai fighter Matteo Minonzio opened up a nasty cut under Wayne Buck’s right eye forcing him to the hospital for four internal stitches and six external in order to heal. From the bell Minonzio landed two nasty low point kicks, but failed to leave an impression on Buck as he stormed in for the takedown. Once in position, Buck appeared to be landing well from inside the guard; as the pace slowed the referee stood them back up. Engaging hard from the restart, Minonzio secured the plumb and proceeded to fire a brutal knee to the orbital of his opponent, lacerating his face in devastating style and spilling blood everywhere. This signaled the need for a medical check and the fight never resumed. Minonzio was declared the victor. Cliff Hall battled initial adversity from the clinch in his bout with Rocci Williams only to find himself on his back, defending his position after a standing guillotine attempt. Reclaiming guard was the first on the agenda for the Total Dojo fighter before working for the guillotine again, this time for the tap at the 2:24 mark. Chris Cooper was composed and thorough in his win over Tommy Rasmussen, exhibiting a fast instinctive sprawl and refusing to buckle under the Norwegian’s attempts at the takedown. It was clear that Rasmussen’s game was all about top position and having failed to secure it, he found himself eating big punches that forced a referee stoppage. In other action, Lee Livingstone made short work of Wayne Murray by way of tight triangle submission from the bottom. Eddie Podolski scored a TKO win over John Brotherhood and finally, Peter McGurk picked up the armbar submission win over debutant John Philips.